Vintage vector illustrations to use as decoration in all your projects. 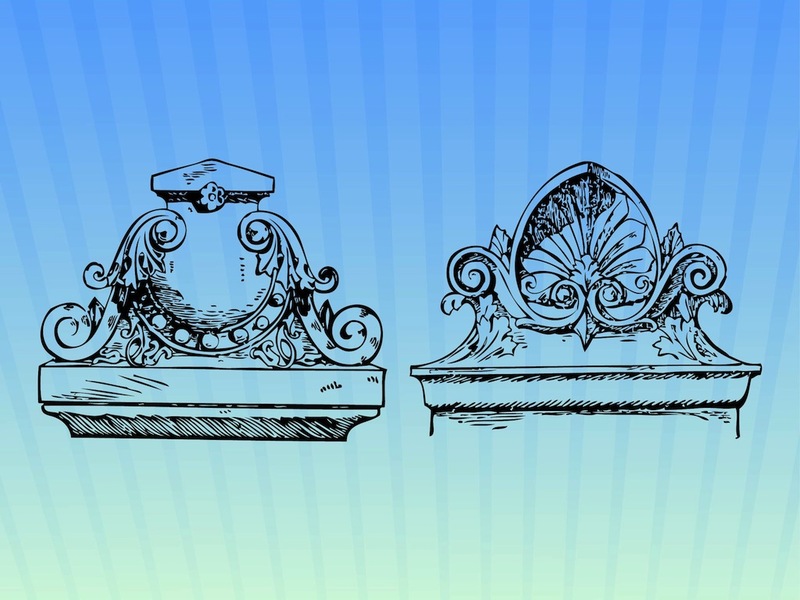 Antique column tops or sculptures with floral elements and abstract swirling lines. Hand drawn decorations to use in all kinds of posters, image frames, clothing print designs, flyers and greeting cards. Free vector graphics for all art and architecture projects. Tags: Decorations, Decorative, Flowers, Retro, Swirls, Vintage.